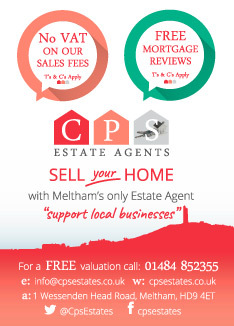 Ideally located close to Meltham village. CPS are proud to offer for sale this beautiful 3 bedroom Victorian period family home. Offered for sale with NO UPWARDS CHAIN. Having recently undergone a complete renovation programme this lovely home has been finished to a high specification. Occupying a convenient position in Meltham village, close to the local amenities and well regarded schools and breath taking rural walks. This delightful property is set over 3 floors and comprises of: Entrance hallway, deceptively large lounge with neutral decor, new grey carpet and feature stone fire place. A door leads you into the good sized dining kitchen which has been fitted to a high standard, offering an array of wall and base cabinets with complimentary wood effect work tops, integrated fridge freezer, electric oven and 4 ring gas hob with matching extractor fan. There is also additional storage in a large under stairs cupboard. The staircase leads to the first floor where there is a large double bedroom and good size single bedroom, both rooms have been freshly painted and have brand new fitted carpets. There is a newly fitted family bathroom with panelled bath and over head shower, sink with modern fitted vanity unit and low flush WC. A further staircase leads to the 2nd floor, where there is a large attic bedroom with a window looking out to countryside views and original beams in the ceiling. Externally there is an enclosed patio area to the rear, with outside storage. Gas central heating and UPVC double glazing throughout.